I do believe I could eat these Chicken Pepper Bacon Bites 7 times a week and never get sick of them. They have just enough bite to give flavor, and since they’re on a stick they are perfect for big gatherings where parents are up and down with the kids or everyone is standing and mingling while eating. 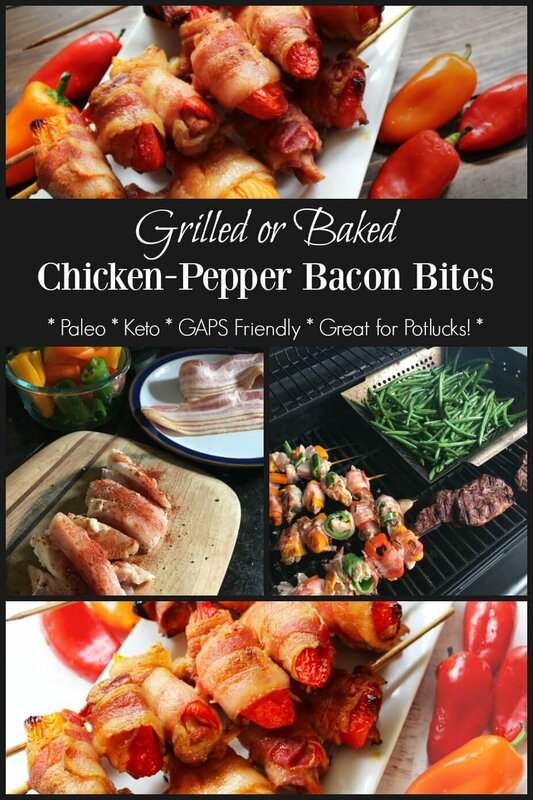 These pepper-chicken-bacon bites are fun to eat, tasty, and can be made on the grill or baked in the oven. These always fly off the table at a potluck too! To plan ahead for a busy week, we snip the ends of the wooden skewers with wire clippers and they fit nicely in a freezer bag. 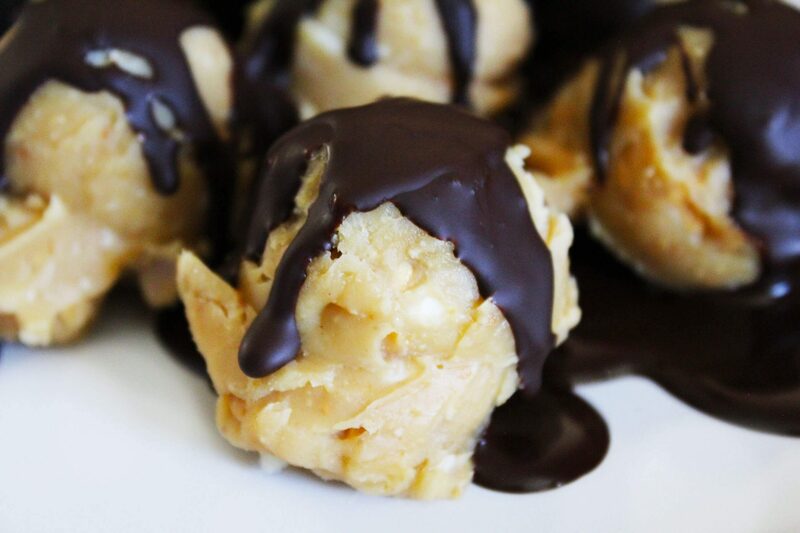 These are always a hit at potlucks. 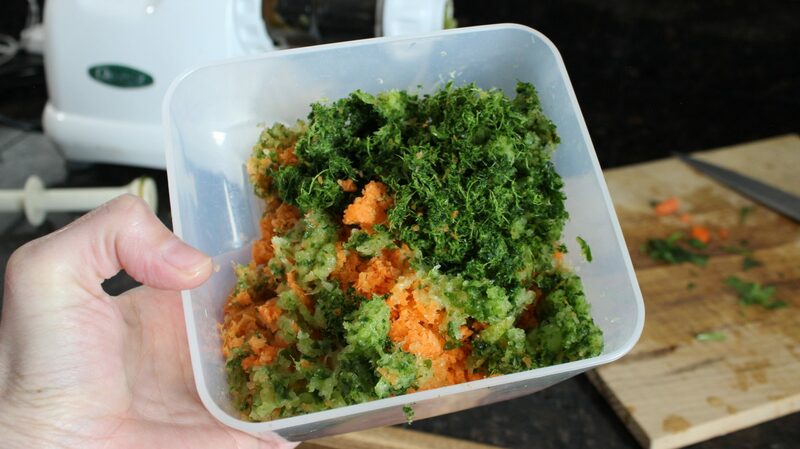 Keep in the freezer for fast food that you'll love! If grilling, soak wooden skewersin water for 20 minutes or longer. If baking, this step is not necessary. Freeze the chicken for 20 minutes (set a timer so you don’t forget!) so it is easier to cut. Cut into bite-sized pieces. Sprinkle chicken pieces evenly with smoked paprika, sea salt, and black pepper. Wash the chilies, cut the stem off, and cut a slit down the side. Use your finger, under running water, to remove seeds. Cut chilies into 2-inch long segments for the Anaheims, or use the whole sweet chilies. Preheat oven to 425* or the grill to medium-high. Cut bacon in half crosswise (making two shorter strips). 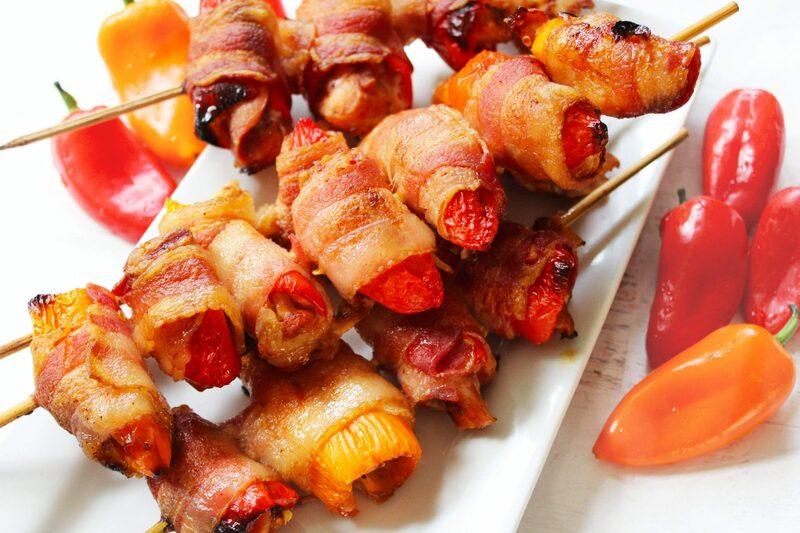 Stuff a bite sized piece of chicken into a pepper piece, then wrap tightly around the pepper with a bacon piece, and stick the whole roll up on a wooden skewer. Push the roll up all the way to the end and then continue with the chicken/pepper/bacon wraps, spacing them about 1/8 – ¼ inch apart on the skewer, 4-6 to a skewer. Any extras of anything can be put on its own skewer. Bake for 35 minutes, or until chicken is cooked through and bacon is crispy. To grill, place meat over the flame and try to aim the uncovered parts of the skewers to be over the less-hot parts of the grill. Check every 10 minutes and rotate, moving skewers as needed to hotter parts of the grill to cook evenly. Cook for approximately 30 minutes total.